Video cameras have become one of the most valuable tools in the plumbing business. 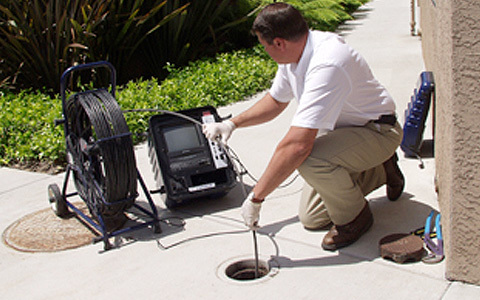 Specially made waterproof cameras allow for a visual inspection of sewer lines and other pipes that are underground, in cement and under your home’s foundation. A Blackall Mechanical professionally-trained and skilled technician inserts a flexible rod with a high-resolution video camera on its tip into pipes from 2 inches to 36 inches in diameter. The flexible rod allows the camera to travel through the pipe—even around corners—to see the pipe in its entirety. Real-time video image transmission allows the technician to determine the condition of the inside of the pipe and understand any existing or potential problems. The images can be saved for a permanent record.